Hello, this is the school nurse. We have Greyson here in our office. My breath catches, then stops, and the rest of the world stops making sound. He's alright now, but I want to let you know he's been bitten. I drop to my knees. My silence is punctuated by gulps of air so I can sob. Hello? Are you there? He's okay, he's just been bitten on the stomach- but it didn't break the skin. He was crying so we got him calm and we are trying to ice the area. But he's ok- really. I was aware my overreaction was severe but I couldn't take one more single thing. I was scared and confused and my heart was breaking a bit more with each day that went by. Greyson was in an autism preschool program called PALS, and it was starting to feel like we were in a nightmare. Yes, I'm sorry. I'm here. It's just... He can't talk and I'm worried he's not ok and he probably doesn't understand what's going on. 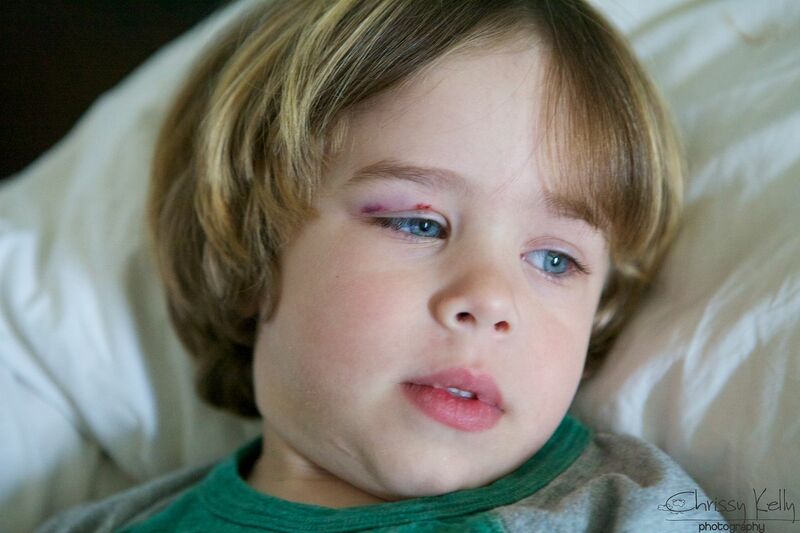 Can you adequately explain the terror and protectiveness you have the ability to feel for your nonverbal child? Are there even words invented to explain it? Because I have never come close to finding them. It was the second time he had been bitten. Add to that an unexplainable black eye. Things felt wrong from our very first day there. I chalked it up to me. 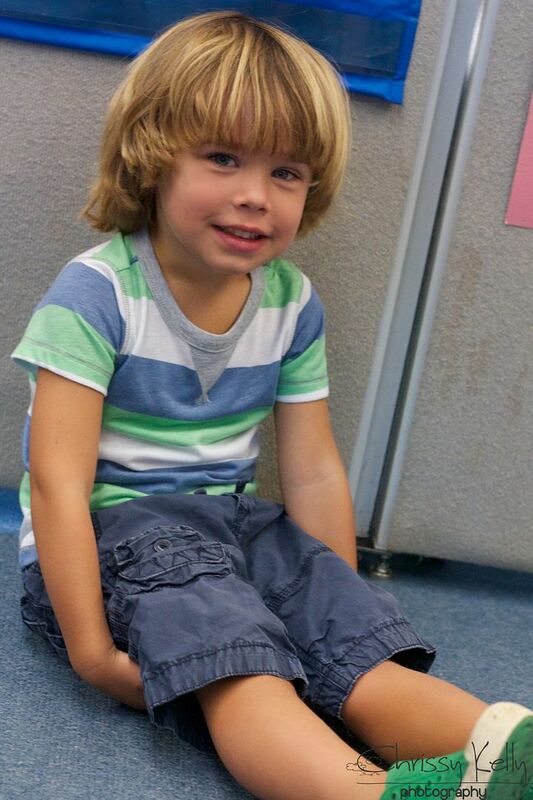 He was only three and I wasn't ready for him to be gone at preschool five days a week from 8:20-1:20. The classroom age mix was 3-6 years old. That's too much of a gap for general ed- so how in the world would it work for children with autism when each child is so vastly different from the next? I wasn't sure if it felt bad because it wasn't the preschool experience I expected, or if it felt bad because it wasn't right for us. Can I volunteer in his classroom? I asked the teacher. No, she responded unsympathetically. Every student in this room has an IEP posted and it is a private legal document. You can't be in here without advance notice and you need to be accompanied by a Director or the Principal. I suddenly felt stupid for even asking. Angry I was being deprived of one more typical mom thing. On the second morning of school I parked and walked him up to his classroom while Grey screamed and attempted to lie flat on the ground. For your convenience you can just bring him to the school drop off lane in the morning, I was told. Oh that's ok- I would prefer to park and walk him up until he's comfortable here--that way he realizes I am bringing him here on purpose, and not just letting him get yanked out of the car by someone we don't know. Okay, you can do that but an aid will meet you on the sidewalk. Unfortunately the parents aren't allowed in the class as to not disturb the other students. It was obvious that I was not welcome in Greyson's classroom. Other than basic information and testing results the new school didn't ask me for information on Greyson. Even my friends with children in general education filled out information about their child on their likes, dislikes, and skills and strengths. A couple of weeks after school started I created lists of programs and skills Greyson had mastered during Early Intervention, as well as the things he was currently working on in his home behavior program to share with his teacher. I made an appointment so we could review it together. I also brought his Speech Teacher his current goals and capabilities based on the year of one-hour, twice weekly Speech Therapy sessions we both religiously attended. I was especially adamant that she knew that Greyson was capable of making three word requests. I want drink. I want car. Grey tries to get away with the least amount of language possible and I didn't want that to happen at school. I wanted to make sure they knew what he was capable of so they could continue his learning from there. Grey did so good today, he Speech Teacher reported. He said ball and car and mountain bike. He said mountain bike? I asked incredulously. (it's not possible) Um- did you tell him to say mountain bike or show him a picture of a bike and tell him what it's called? No, he just said it all on his own out of the blue- 'mountain bike'. I'm curious- if he says car- does he get reinforced or rewarded? Yes, of course, she said smiling as if that was the answer I was looking for. Ok- can you please make sure when requesting preferred items that he uses three words? As I mentioned before he tries to get away with as little language as possible and I don't want him to regress. Greyson is stubborn and hard to keep focused, but he is also a great and consistent learner. He tests all new Teachers and aids to see what he can get away with. He responds best to firm yet loving Teachers. 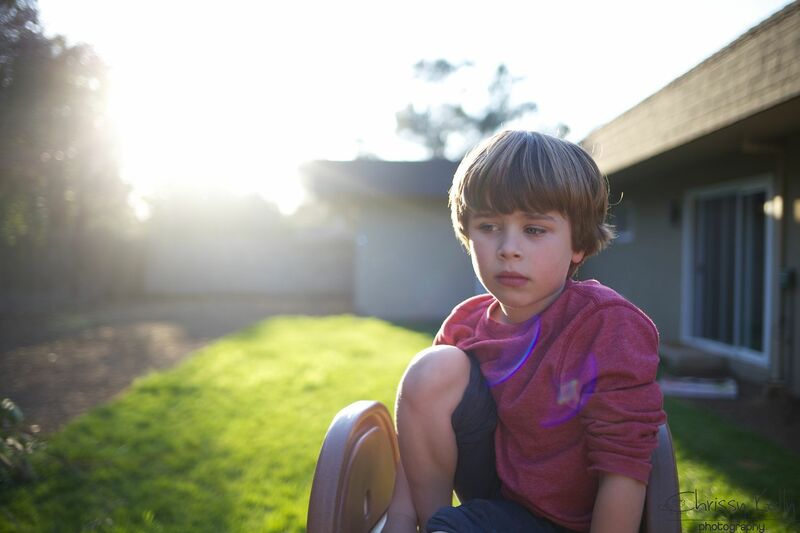 During his year of at home Behavior Therapy they only had to stop one program due to Greyson being unable to get it. However, all the feedback I got from the PALS classroom just didn't describe Greyson. It was obvious they had one way of teaching and he just wasn't fitting their mold. No one was able to figure out what made him tick. We've had many good autism teachers and they just keep trying new methods until they figure out the Grey's motivation and preferred rewards. And some of the very best Teachers can figure out things about him that even surprise me. But at this school every week the teacher would have to stop a lesson and start a new one because Greyson wasn't able to learn or demonstrate his knowledge. My head was spinning. Is that English, I wondered? Greyson was vanishing before my eyes. Again. First from autism and now from school. I would pick him up from school in the afternoon and it was like he didn't even recognize me he had retreated so far inside his head. I called my friend crying. I cried a lot then. I still feel sick when I drop him off every single morning. It's been nine months. Shouldn't that have gone away by now? I asked her. I ask the school for information and I don't get anything. I don't understand what's going on and I don't know what to do. Have you ever thought about taking him out of school? my friend asked. She knew our concerns and how bumpy this road had been. I had thought of it - but only in my daydreams. Isn't that illegal or something? There were no private schools for children with Special Needs around. Greyson didn't yet have the ability to mainstream in a general ed classroom either. Since he had turned three, he was no longer eligible for the services provided through the state's Early Intervention program. Our options were limited. But I couldn't watch him fade away any longer, and her words were the push I needed to make change. I was going to risk it and pull him out of school. I needed to come up with a plan built for Greyson. A plan that would help bring him back and hopefully one day- help him learn again. We started 20 hours a week of at home Behavior Therapy. We sent him to a private preschool one day a week with a typical special aid shadow that we paid out of pocket. We started private $85 an hour speech therapy again and would alternate other activities like horse back riding, swimming lessons and typical child play dates and outings. Some nights I couldn't sleep, I was so scared I was doing the wrong thing. After a couple of months Greyson started to come back. So slowly at first. And after a few months I finally experienced this blissful exhale of relief. We were on the right path doing exactly what we needed to do, a fact I could feel in my bones. Before I had been desperately searching for a path worn in the grass for us to follow- but I realized- it was up to us to wear our own path. For the past two years we have done our own thing, and Greyson is thriving, still stubborn and so happy. Greyson turned five nine months ago and I knew it was time to explore schooling options again. He needed the structure and curriculum that only five days a week school could provide. I was scared but ready. I called and spoke with the Director of the PALS preschool program and voiced all of the concerns we had about the first PALS classroom we were in. We set up a tour for another school in the PALS program, hoping that this site would be different. As soon as we walked in the door Greyson reached his arms up to Michael saying, I want up. My heart was thumping. Please let this be better, I repeated in my head over and over. There wasn't a toy in sight. There were no days of the week or colorful art or the children's names decorating the wall. Having autism means that my son is a professional learner and will be doing extra learning all of his life. When a child is only five, learning needs to look like joy and fun. This classroom looked more like a large storage closet. It felt like an insane asylum. A row of children sat in front of a Signing Time DVD; none of them engaged. There was a child strapped into a chair screaming, setting off the other children to do the same. Another child was yelling and groaning on the floor. My hands were shaking and I was rapidly swallowing so I wouldn't cry. Home, home, home, Greyson repeated over and over. We have a weighted vest, the Director replied. Do you do Speech Therapy one on one? Greyson does much better that way. No- we usually do speech in a group setting. It works better that way. They stood behind every reason they gave me, just like at the previous site. And most of the answers were - This is how we do it. This is how it works for children with autism. How could these professionals run an autism program and not even realize autism doesn't work that way for anyone? There is no one size fits all. We finished the tour and walked to our car. The air was thick with silence until I started to cry. "He can't go there. We can't make him. That was so awful. It's a place you go to dump your kid for five hours- not a place you send them to learn." "No- I agree," Michael said. "Greyson was gripping me so tight the whole time we were there... he remembers". Michael's voice started to crack as his words trailed off. For months we researched and asked everyone we could. I asked Teachers, and parents of children with autism. I prayed. I hoped. One evening we decided we needed to move to a completely different neighboring school district. Like pulling Greyson out of school- It was another moment filled with hope- but even more fear. What if we do all of this and it's an awful idea? What if we end up worse off? But we were ready to go for it and so we did. We listed our house and within a month it was sold and we had purchased another. Everything was moving so fast. And one month ago we started Greyson at a new school in an autism classroom. This week we had our first 30 day IEP meeting- Individualized Education Plan . An IEP is mandated by the Individuals with Disabilities Education Act (IDEA). The IEP describes how the student learns, how the student best demonstrates that learning and what teachers and service providers will do and provide to help the student learn most effectively. And with tears in my eyes I will tell you- this meeting was incredible. I finally felt like I could stop waiting for the other shoe to drop. This is it- and it is good. I looked around the large rectangular table filled with people willing to do what it takes to help Greyson succeed. It was hard not to cry. This environment has exceeded our expectations. The school does 1,000 things differently and in the best interest of how each individual learns. They have a whole room dedicated to gross motor and sensory stimulation- which really helps kids like Grey who need it to stay focused and calm. The way the Teachers describe Greyson and his learning process shows that they get him. The goals they set for him are hearty yet realistic. They took turns speaking at this meeting and you can tell they want him to succeed- and they will do everything they can to make it happen. His Teacher told me that he's the perfect fit to their classroom- and that they didn't even know until now that it had a Greyson shaped hole until he came along. His Teacher gave us a journal notebook to keep in Grey's backpack so she and I can communicate back and forth. The greatest part- Greyson walks into his classroom happy every single day. He may not talk but he can communicate --and that right there is the greatest sign. He likes going there- and because of that so do I.
I hesitated writing this post for years. By nature, I am a fixer- not a complainer. But I feel a need to tell this truth. To admit that there have been scary decisions we've made that I've doubted and been sick over. To show that something bad can turn into something amazing. To remind you to trust your gut instincts. I believe that the people in the PALS program have good intentions but outdated practices that desperately need to be changed. For Greyson's privacy and safety, we do not share where he currently attends school. I look around at our new home and realize this is exactly where we are supposed to be. I feel like I dreamed this house and school into being. God has been here every step of the way, opening the right doors and closing the wrong ones. I frequently tried to walk into those closed doors and got hurt. I'm realizing now that's because it was time to walk away. And Greyson is doing amazing. It's so easy to forget that most set backs are temporary. Just recently he started to be able to write his name. And I've also realized that the journey isn't about writing his name or mainstreaming in a general education classroom. It's about the tiny little million things he does every day. The tiny things that lead up to these big milestones and miracles that blow us away. It's been a hard journey, but one that I am so proud to call ours. Chrissy - Thank you for sharing this. It needed to be read. Particularly by me, this week. It is hard to go against what the professionals say is the way to do it when all you have is a heart and gut saying no and no alternative yet formed. Have you by any chance read The Spark? If so, I'd love to hear your thoughts on it. I found it amazing, hopeful, terrifying and overwhelming - all in one. Amazing post. 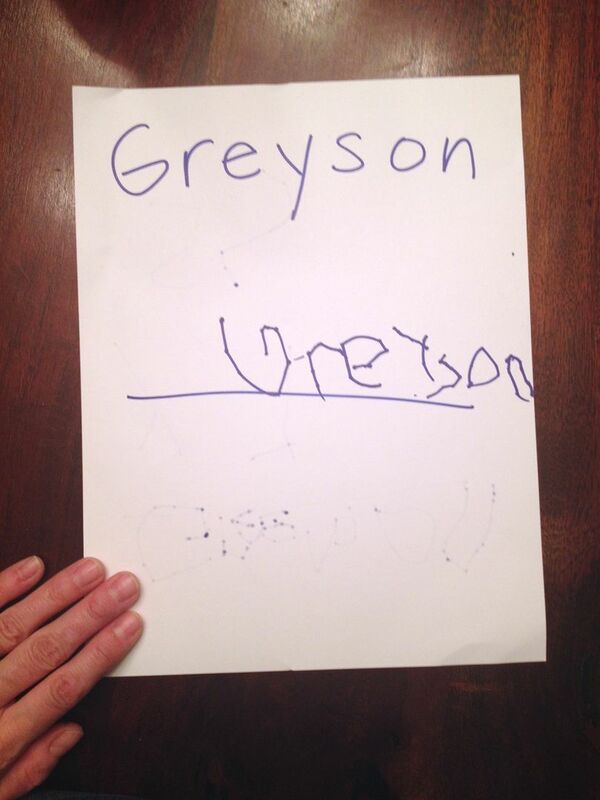 The picture of Greyson writing his name was icing on the cake. That's so brave of you to share both the bad and teh good. I just went to look at prek programs for my son a few weeks ago and Georgia offers free pre-k options but when I went to visit the schools I HATED them all. It really felt like just a place to drop off your kid for five hours but nothing more. I took a leap and emailed a preschool that I loved but was way too expensive for us to pay for and she very graciously offered us nearly free tuition for him. I'm so grateful for the intuition God gives us and how he opens the doors to the right places. Ahhhh.....I so understand this!!!! We've fought and struggled for the past 11 years with the school system for our 14 year old son. He'll be starting high school next year and I'm terrified. We''ve had some amazing experiences, some not so amazing and some that were plain horrific. I dread IEP time every year. And now we are just starting it all over again with our younger child. He'll be 3 in June. It makes me weak. Oh and I nearly wet myself when I saw his handwriting. I'm so excited for Greyson and for you. I love this and I can relate. My son has down syndrome and autism (not formally diagnosed yet). We live in a smaller town and when it came time for his IEP they wanted him in a preschool that felt like where they cram the "leftover kids". I said no. Everyone acted like I was crazy but my gut was saying run. We don't have the option to move but I have found a program to help him. The preschool got a different teacher this year and I told them I would revisit but I will go with my gut. We know our kids best. Good job looking out for your son mama!!!! I can relate to this! We toured a public autism school when our son was in preschool and there was no way I was sending him there. 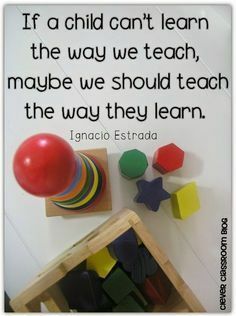 He ended up in an integrated classroom for K and I still wasn't happy and knew there were places that were further along in understanding and working with children with autism. We ended up moving across the country (back home for me) and it's been the best thing for my son. So happy that Grey is happy at his new school! You're doing good mama. Keep telling your truth. So brave of you to trust your mama heart. I, too, had a friend ask me "why are you sending him back?" when I shared concerns about our son's preschool program. It was just the nudge I needed to realize that we COULD decide to do what is best for our child rather than what everyone else was doing. We have continued to make those types of decisions throughout our three children's education---and it has made all the difference! So happy for your family and the exciting journey you are on! Thank you for sharing this story of trusting your heart. My life couldn't be more different than yours -- no children at all for me, much less beautiful boys with Superpowers -- and yet, every post I learn something, or am reminded again of something I know. I came here for the beautiful pictures....I stayed because of your beautiful, honest writing...and I am so grateful for your sharing. Thank you for your courage to share this. I know that feeling - the "I don't want to complain, I want to be a fixer" feeling. Sometimes, this is how we fix I think. We share. We inform. We love. I am so grateful your little guys have you for their momma. this post makes my heart happy. it's about knowing there is always more than one door. and having the courage to open them until you find the right one. i'm so proud of your courage and your your conviction. love you! That the Teacher said they never realized they had a Greyson shaped hole before?!? I love her. When we find someone who loves and appreciates these hearts of ours that walk outside our bodies, well it is nothing short of magic. You are brave and amazing and such a Mama Bear - fighting for your son! That's what we do! We may not know immediately what is right but we can sure see wrong. Speaking and taking action for your boy, even moving your family home - that, my friend, is beautiful & admirable & downright awesome! I couldn't agree more that it isn't about making our children like the next one or better than the next, its all about finding their individual potential and helping them reach that - whatever it looks like. You move me, friend. Rock on! Tears pouring....I don't know if it's the beautiful pictures, beautiful boys, your writing, and that fact that I'm a mom too. While I don't know first hand what you are going through everyday, this makes me feel so raw and feel so much for Greyson to get the best learning experience! I'm very happy that you and your family were able to find such a good fit for Greyson and you didn't settle at PALS. I lost my initial gushing comment. To summarize: so very proud of you and Greyson. As a mother, I face different challenges, but I can feel your fears and joys as my own. You give me hope for my own scary, challenging situation. Thank you. Sending so much love and high-fives! Oh my goodness. The tears. I am not the parent of a special needs child but I work in Early Childhood Intervention so I still get it. This was so perfect and so important. You are a wonderful and amazing advocate for your boys and that is not something I see very often which is so very sad. Your boys were perfectly placed and handpicked especially for you and your husband and God could not have done a better job. Thank you for this. You do my heart good. Thank you for sharing your triumphs. We all hear about others' challenges and trials, so its so nice to hear about your positive outcomes. I think sometimes we forget to share the good things and tend to concentrate on the negative. This is such a lovely story. I'm so glad you shared it with us. I'm so excited about Greyson writing his name. He did an awesome job. Thank you for reminding the rest of us, moms or not, never to give in or give up! This is great, what a good parent following your heart. This program PALS sounds terrible, I am worried for the children that are enrolled in it. I am so glad I have not had that experience with my sons education and will certainly not stand for such a program by the sound of it. I enjoy your posts, I understand your perspectives and relate a lot to my own on our journey with my son Landon on the spectrum as well. I have a blog too if you ever find any free time to read it, I too write to share and hopefully bring relatedness to others in our big shoes. Thanks for sharing and keep up the good work! What a wonderful, hard, happy and satisfying story. Thank you so much for sharing this!